After some time working as a young professional, Vivian felt stuck and knew she needed to embark on a journey that would undo that feeling. This is when she had the idea that she could pursue her MBA. Vivian knew that finance and accounting were not the end goal she had in mind for her career and hoped that the pieces would fall into place while in graduate school. Faith and optimism remained in her toolkit as she sought inspiration from her peers and was fortunate to work for a company that offered to help support her education. Funny enough the impact of Smith in the world continued to follow her throughout this experience. Vivian shared a story of how she was finishing her MBA and working at a biotech company when one day, somebody saw the Smith sticker on her car and asked “Wait, who’s the Smithie here?” That person ended up being the VP of Business Development whose team she joined soon after graduation and who would become one of her most important mentors. Vivian always knew that entrepreneurship was in her blood. Her father and brother are both entrepreneurs so having this background and a love for building things made the path come naturally to her. She courted the typical corporate role at a larger company for a while to gain the experience, but her passion for learning and curiosity told her that it wouldn’t be long term. The idea for a women’s line came while accompanying her husband on trips to the golf course. Vivian realized that the athletic clothing industry, especially for golf, didn’t market toward women and she felt uncomfortable with what they did offer. When asked about what makes the products in her clothing line, Vivacity Sportswear, standout, Vivian cites quality, easy care and size range (misses and plus sizes) as major drivers. The brand has created #fitknowsnosize to highlight that not all women are created with the same shape and the importance of being aware of this when representing a diverse group of people. But Vivacity doesn’t just stop there. Vivian says that the dream goal is becoming more sustainable. The fashion industry is one of the main polluting industries after petroleum and her company wants to change that. “We are working with innovative textiles, for example — technical fabrics that are made out of plastic bottles that perform” (pictured above). Vivacity recognizes the environmental problems we face and is using its power to push back. Vivian Sayward received her Bachelor of Arts in Economics and French Studies from Smith College in 1988. She is the founder of Vivacity Sportswear, an inclusive women’s clothing line that works with innovative fabrics and designs to create long lasting quality products. 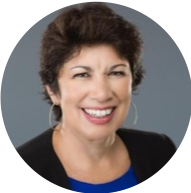 Vivian brings over twenty-five years of business development, marketing, finance management, and startup experience to all her endeavors.